The following videos show reports about professional users giving examples of their work and explaining, why the use RTW units for their productions. This video presents editor Harry Steinhäuser from Cologne, Germany. 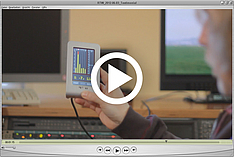 He reports about his experiences with Loudness and TouchMonitor TM3.